Snapchat continues to experiment with its monetization strategy. And this week, it's trying to capitalize on "X-Men: Apocalypse," which comes out Friday. For the first time ever, the startup let a single advertiser buy up all its "Lenses." That's what Snapchat calls its nutty selfie masks that turn people into puppies and goofy cartoon characters. 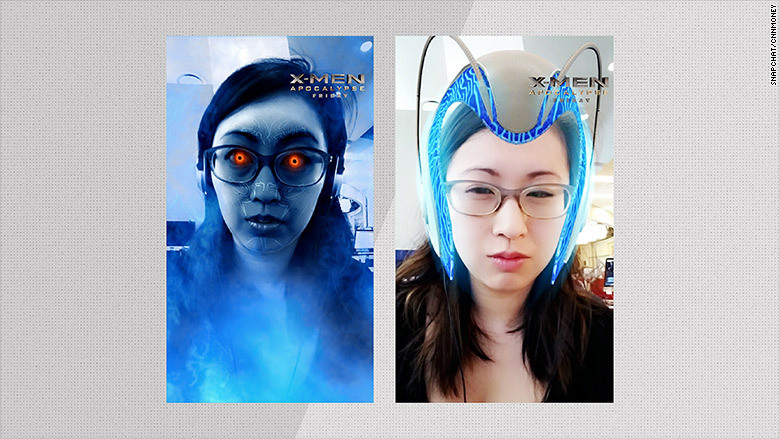 Snapchat replaced all of its lenses with "X-Men: Apocalypse" themed masks as part of an ad deal with 20th Century Fox. There were nine in total, including ones for Cyclops, Mystique, Storm and Professor X. You can also buy tickets for the upcoming movie without ever leaving the Snapchat app. When the "X-Men" ad plays, just swipe up, enter your zip code and buy the ticket through Fandango. Like most things on Snapchat, the movie tickets and "X-Men" lenses are only available for a limited time. The lenses disappear after Monday and the movie ticket ads disappear after Thursday. Snapchat has never offered event or movie tickets through its app before, but it has experimented with shoppable ads in the past -- most recently for Target and Lancome. 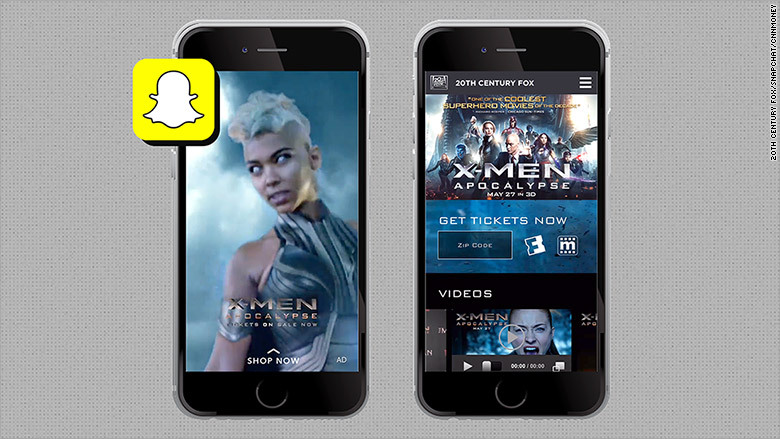 Will McIness, CMO at social media monitoring company Brandwatch, said Snapchat's "X-Men" ticketing strategy is savvy. 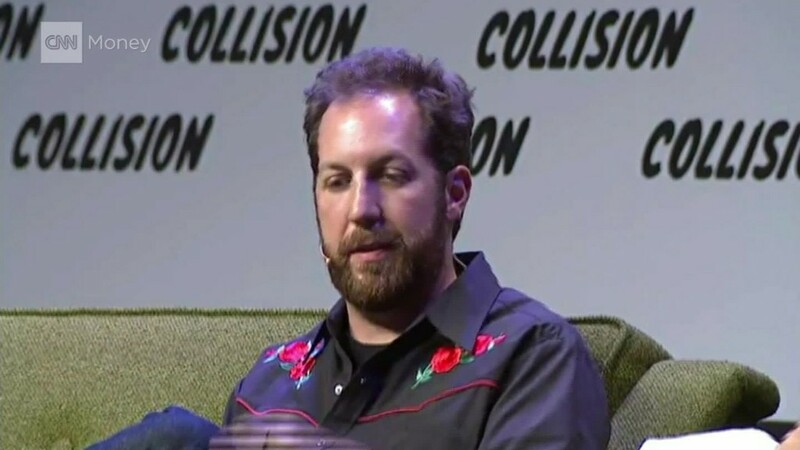 "This is a smart, strategic move to see if Snapchat users are willing to actually exchange currency through the platform," said McInnes. Snapchat has offered sponsored lenses before, but never at this scale. Usually the company lets an advertiser sponsor just one lens. While the "X-Men" campaign might be a fun way to change things up, Snapchat also annoyed many users who couldn't access their usual favorites. I want my dog face filter back. These X-Men filters are trash. A Snapchat spokeswoman said the startup was not making money from individual ticket sales or use of a lens. She told CNNMoney that 20th Century Fox paid a package price for a certain number of views for both the lenses and the ads.